These are days of high expectations in all sectors about the coming Budget and the judiciary is no exception, notes M J Antony. It has been the persistent complaint of the judiciary and the legal profession that Budgets ignore their urgent needs, leading to a near-collapse of the justice delivery system. Estimates of budgetary outlay for this important sector have varied from 0.2 to 0.4 per cent. This is pitiable by all standards, when more than 30 million cases are pending. Judges have no lobbyists and, therefore, cannot apply pressure on finance ministers, though several of them rose from the bar. These are days of high expectations in all sectors about the coming Budget and the judiciary is no exception. 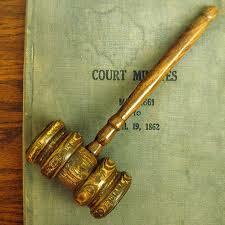 It is well known that the government is the largest litigant and nearly 60 per cent of the cases involve central laws. Though laws are rolled out as panacea for social and economic ills, and often as stratagem to muffle street protests, they are not accompanied by budgetary estimates of the additional cost on the judicial infrastructure. There are some 40 tribunals that also need proper buildings and staff. Not only the tribunals but even the subordinate and high courts have a large number of vacancies. Nearly 350 posts in the sanctioned strength of 984 judges across 24 high courts are vacant. In the subordinate courts, there are 4,400 vacancies out of a total of 19,510. Even for such emaciated strength there are not enough court rooms and staff. A recent law ministry assessment of the requirement of infrastructure in subordinate courts set the figure at Rs 7,346 crore (Rs 73.46 billion) for 2011-16. But only Rs 2,200 crore (Rs 22 billion) has been released till 2014. Much of it is not utilised, as it is caught in red tape. The service conditions and remuneration of judges are not alluring enough to attract the best talent in the legal profession. The Supreme Court has been dealing with a petition of the All India Judges Association since 1989 regarding their grievances. The government has grudgingly conceded some of their demands over the decades. Even last Monday, the hearing was on and the court was nudging various governments to improve the lot of court personnel. The current situation results in corruption and poor quality of justice. The Law Commission had long ago recommended the optimum of 50 judges for one million people. But the current ratio is about 15.5 judges for one million. This is in contrast to those in other countries such as the US, where there are 107 judges for one million people, 51 in the UK and 75 in Canada. The funds for the judiciary come from diverse sources, though even the chief justices are not sure of them. The now defunct Planning Commission had a role in allocating funds for the judiciary. The role of the nascent National Institution for Transforming India Aayog in this field is not yet clear. The courts create funds on their own, with fees, penalty and deposits, but all of them flow into the government’s kitty. Though the state governments should finance courts in their fold, they are found haggling with the Centre over the expenses. The lack of clarity in funding judiciary provides rich ground for governments to pass the buck and blame each other for the current plight. One solution proposed long ago was to give the judiciary financial autonomy. A judicial council would prepare a budget in consultation with the executive. Advisers from the Comptroller and Auditor General would be involved in drafting it. The CAG would monitor the disbursement and expenditure. However, the successive governments have not even given a thought to it. Litigation is bound to rise with education and increased awareness of rights. An alternative dispute resolution mechanism has got bogged down in astronomical costs and lack of infrastructure. So have the much-talked about fast track courts. All these have recently pushed India to a low rank in the World Bank’s index of ‘Ease of Doing Business’. The Centre had recently written letters to the chief justices of the high courts to speed up the settlement of commercial disputes. The Law Commission has suggested special benches in every high court to deal with arbitration cases. However, the long journey of judicial reforms must start by loosening the purse strings. The finance minister had distributed ritual halwa last week to the Budget makers. The judiciary is wringing its hands hoping to see something as sweet. If ever the Kiwis had a chance of winning the World Cup, this is it!